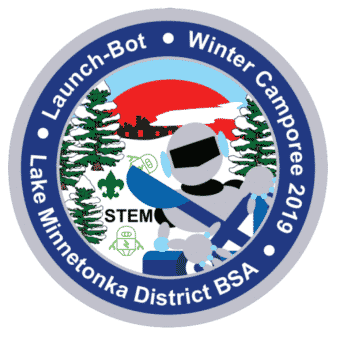 This will be a unique, STEM-themed camporee, which includes launching an orange ball for distance and accuracy, the classic Klondike Derby, Snow-Bot Building Contest (Snowman), and indoor demonstrations by robotic teams. The Camporee Information Packet includes all the details. Sign up to reserve your place at this classic Lake Minnetonka District Camporee. 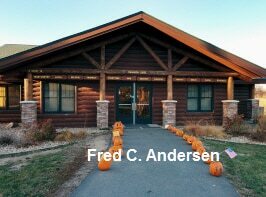 Come out to Fred C. Andersen Scout Camp for the weekend or just for the FULL DAY of activities on Saturday. Limited indoor sleeping is available in Swanson Lodge. The indoor space is first come, first served. You will need to design and build your catapult before you arrive at the camporee. 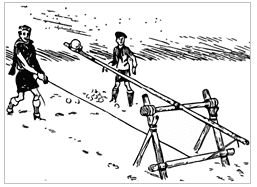 Enough time will be provided so that you can assemble your catapult before the competition. The winning team will launch the prized Lake Minnetonka District robot. Sorry, no trebuchets. 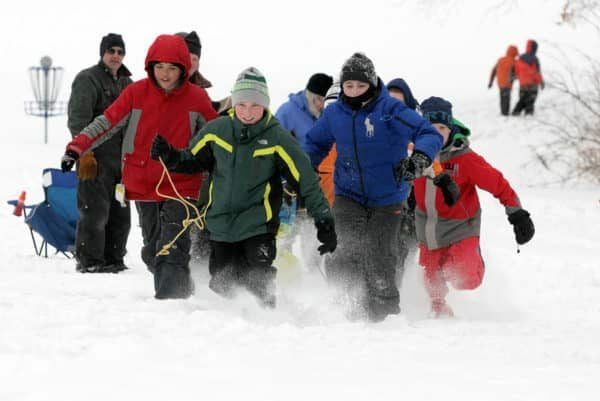 In addition to the traditional, outdoor camporee activities, there will be an indoor program as well, including demonstrations related to robotics, three merit badges*, the Nova program, and STEM activities that will give the youth and their friends hands-on practice with science, technology, engineering, and math – skills they’ll rely on for years to come. The details for this camporee are found in the "Information Packet" posted under the Camporee Resources, found below if using your cell phone, to the right if you are using your laptop. Please read through this document. The document also includes links to the merit badge worksheets for this camporee. The Camporee Information Packet includes a "Unit Check In Form". This form must be used when you check in at camporee. Webelos are encouraged to attend. 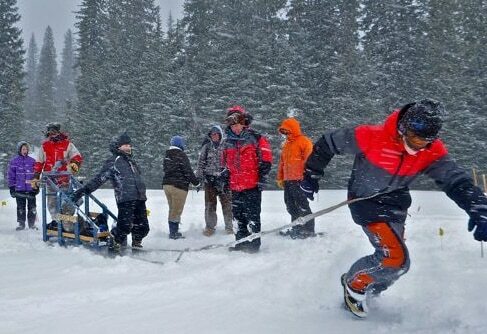 You can camp along with a Scout BSA Troop, or just register online and come for the day with your den or family. Many thanks to our host units T570, T537, T567, C345, David Olson, Jim Lindfors, Brett Schneider, Brian Klein, Mellissa Stanfa-Brew, Phil Zietlow, Sally Jensen, Danell Dalton and the Activities Committee for working on this camporee. * Scouts may earn partial credit for the merit badges, adventure pins, and Nova awards offered at camporee.